The ozone therapy benefits are many for people fighting cancer. We’re going to go over those below in this post. We are going to cover three extremely effective oxidative therapies we use at An Oasis Of Healing. Those three treatments are; intravenous hydrogen peroxide, UBI or ultraviolet blood irradiation and ozone therapy. 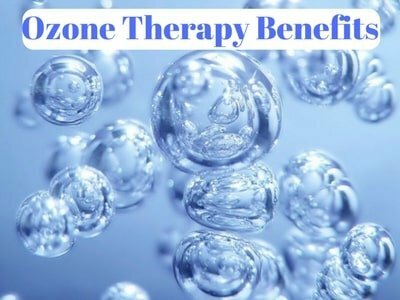 The ozone therapy benefits have been known for decades now. First, let’s review what ozone is so we understand the benefits. Oxygen is known as O2 and is a stable form. Ozone is an unstable form of oxygen. We have oxygen in our atmosphere and when the ultraviolet light from the sun hits it, it splits the O2 into two single O1’s. O1’s are the most unstable, however, the O1’s quickly grab an O2. So, for a period of time when the O1 grabs an O2, it becomes an O3 which is ozone. O3 is unstable and will revert back to the stable form O2. Therefore, we always have an ozone layer around the earth. Ozone has been used in the medical field for almost seventy years now. It has a good scientific basis and clinically it is incredible. 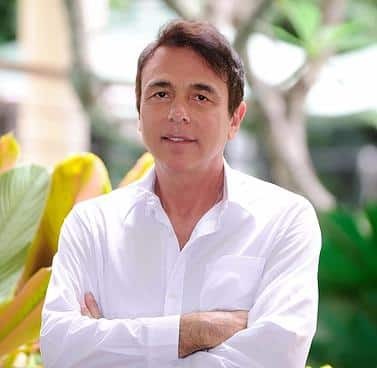 You can’t hurt anyone with ozone therapy unless you do it the wrong way. The European Ozone Commission allows for ozone is what’s called major autohemotherapy where the blood is taken out of the body in a sterile fashion and put into a vacutainer. About 200 cc’s of blood, which is not a lot, is withdrawn and ozone is then put in at a certain concentration. The solution is then rocked gently back and forth for about 7-8 minutes. The blood then becomes a very bright red, why does it do that? It’s a result of increased oxygenation in the blood. Most blood when first withdrawn from the body is a dark maroon color and adding ozone, which increases the oxygen and the blood becomes bright red. Cancer does not like oxygen, all of your other cells love it and that’s what important to understand. One of the advantages of using ozone treatment is it oxygenates the blood or places a greater concentration of oxygen in the blood. Why is this crucial due to the fact that cancer hates oxygen and also typical cells love it! The other significant benefit of ozone as a result of being a highly oxidative molecule is that it begins to oxidize white blood cells. And, the white blood cells do just what they do and generate anti-inflammatory cytokines which simply happen to be anti-cancer cytokines. Bear in mind, cancer is a chronic inflammatory condition. It is one of the fundamental pathologies of cancer. Now, what we have done is increase the oxygenation in the blood and woken up the immune system. The job of the cytokines is to call to action and get others involved, similar to recruiting. When the blood goes back into your body, there is no more ozone in it, you are just getting the benefit of what the ozone did. The ozone helped increase the oxygen count in your blood. Most people feel invigorated after a treatment. This is why ozone therapy works so well in metabolically challenging cancer cells with its anti-inflammatory properties.